Sometimes, it do feels like the alarm clock in your room is the devil and enemy of your sleep but just the other moment you realize all the lined up tasks to be punctual about routine. 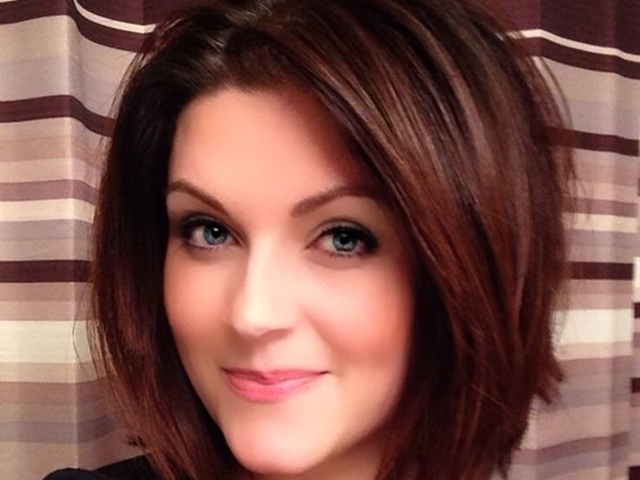 The insight about office for women gravely differs by the way they keep their lives managed. For instance, you will save about an hour if you already know what dress to wear next day and what shoes to match up with them. But hairstyles seem to demand some more attention and heed in return of making you look best at work. We have this code cracked for you right here with these Quick Hairstyles Guides For Office Women lined up for you to pick and flaunt! Midpart your hair and start braiding a french braid grabbing the temple hair. 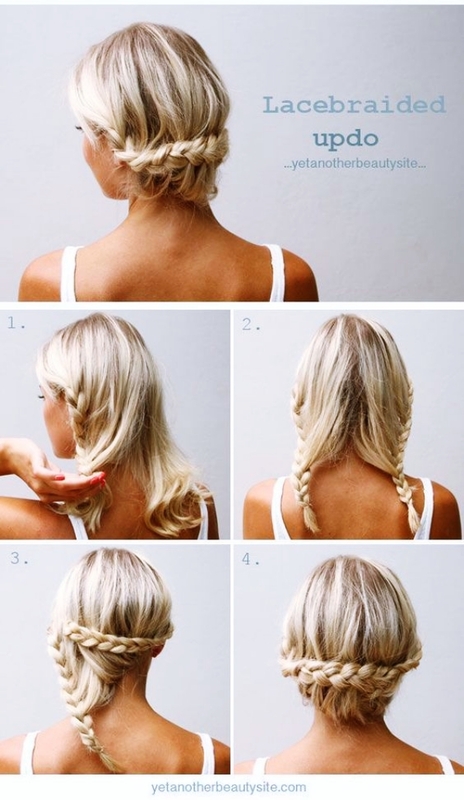 Here’s how you would begin to make this easy hairstyle. 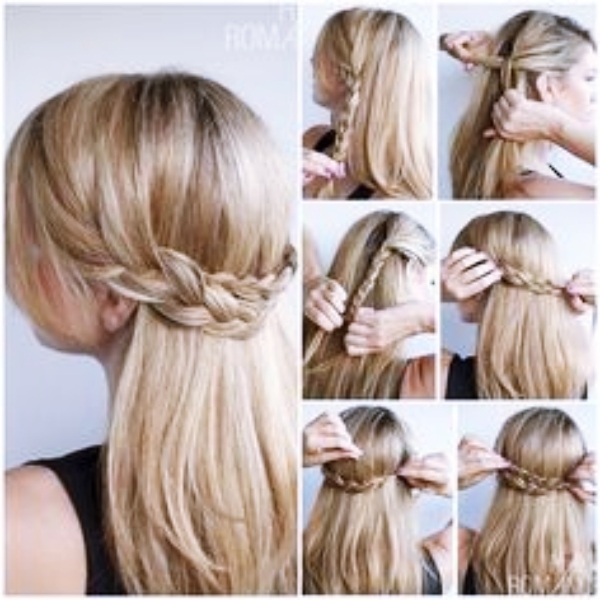 It is preferred to let the braid be loose so that it gives a messy and sophisticated look. 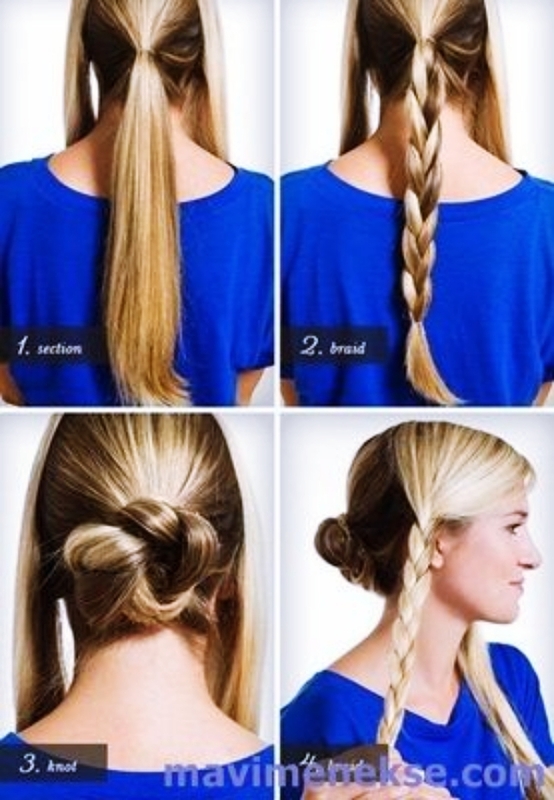 Now, braid one more braid using the lowest most portion of your hair as shown in the image. In the end, grab the braid from the temple portion along with the rest of the hair leaving the second braid untouched. 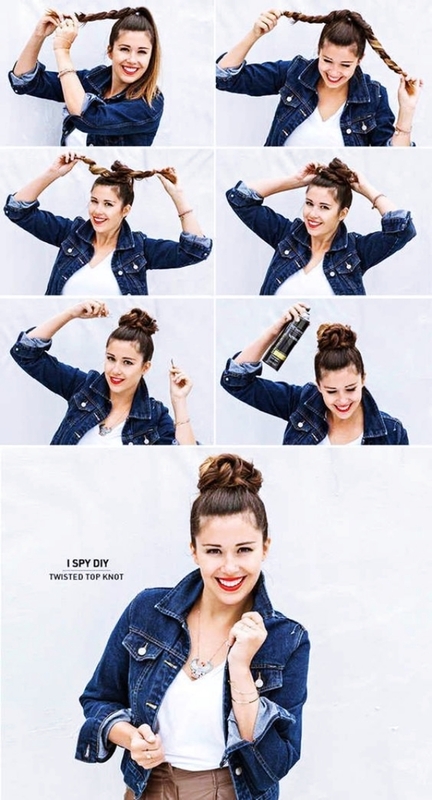 Secure it into a low bun and wrap the same with the braid made at the back. Yeah! You guessed right! 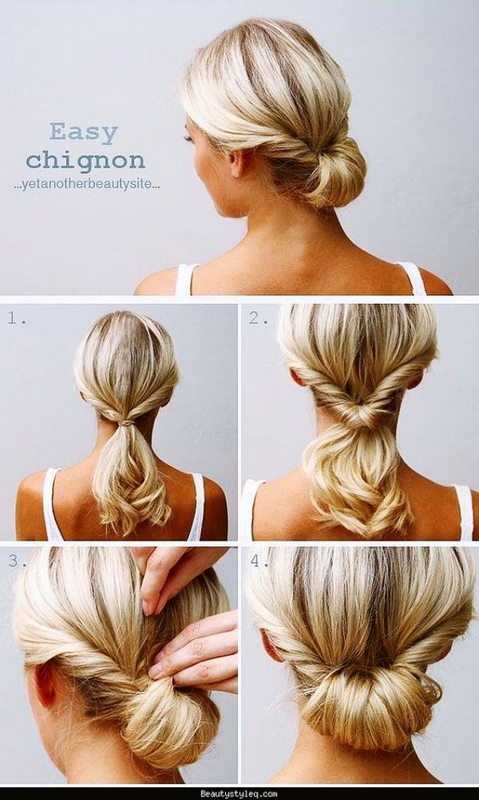 Make a low head loose ponytail and secure the same by wrapping hair over and over. 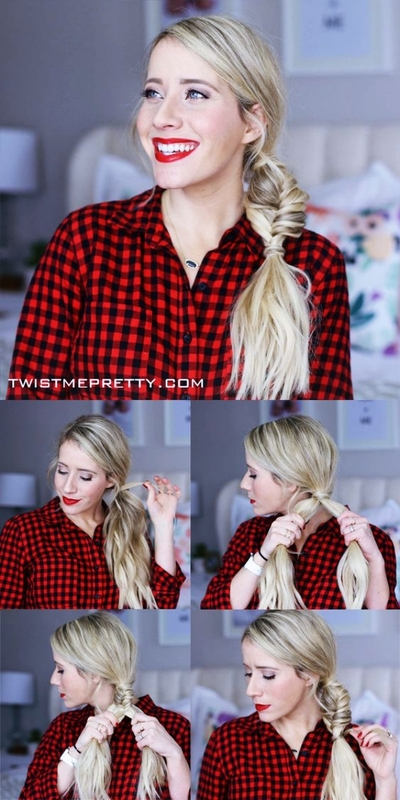 Simply braiding a fishtail would get you the best look for work. Don’t forget to accessorize a bit and make the look stunning for work! Just a bit of practise and you will hardly need 5-minutes to scream VOILA! Grab hold the temple hair and make two french braids on both sides of your scalp. Simply tucking them at the back using the hair clip would complete your look. Striped tee with a pastel coloured blazer and this classy hairstyle would be enough to let you be the lady boss at office! Make a low head ponytaila and twist it around the secured hinge twice for a mangled look and start to roll your ponytail up and PIN! DONE! 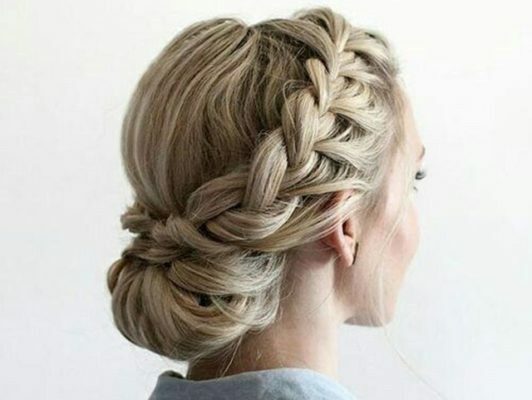 Not just for the work but for wedding or the party mood, this hairstyle just goes perfectly! PROTIP – Always pin the hair and secure it by inserting one in horizontal and vertical orientation for an all day long sophistication! Sectioning hair into three portions is where you have to begin this hairstyle with. 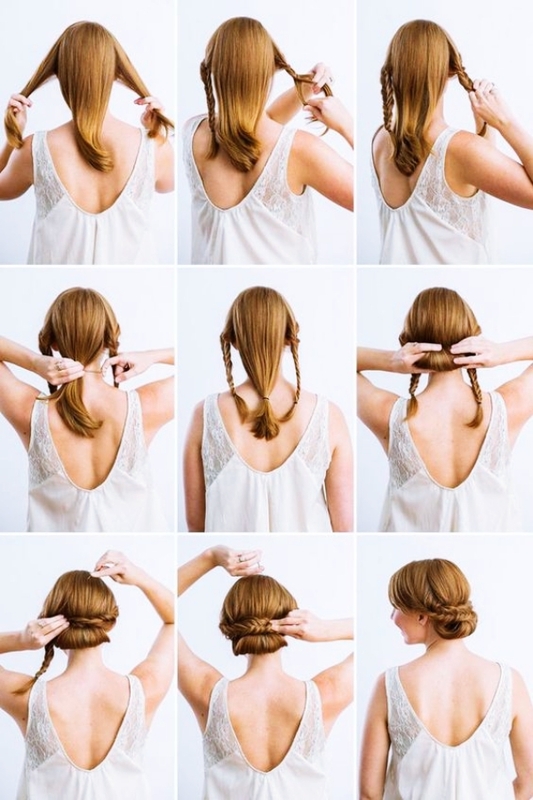 Using those two divisions from the front, make two french braids and using the hair at the back make a loose pony. Now start to roll the ponytail and wrap it up using the braids for the stylishly dressed Quick Hairstyles Guides For Office Women. 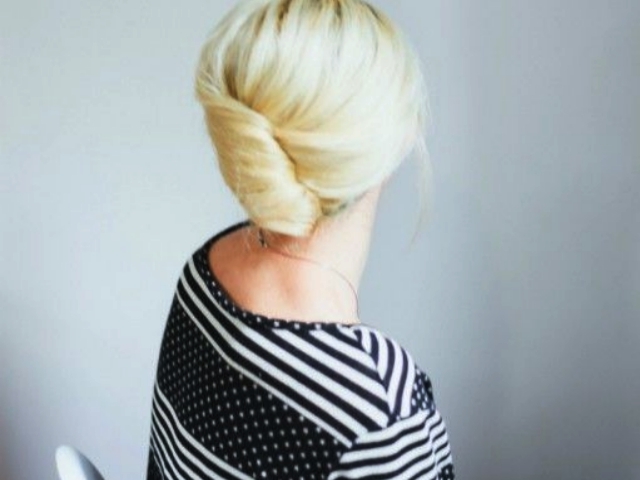 This Quick Hairstyles Guides For Office Women is going to be as easy as turning a high head ponytail into a messy bun. No combing and no nothing! Just grab and hold and twist and roll and there your hairstyle perfectly goes. Midpart | Section into Two Equal Parts | Twist and Twist | Roll up and Pin!! What could be easier than this and what else on earth could make a woman happier than being able to get ready within a minute or two! 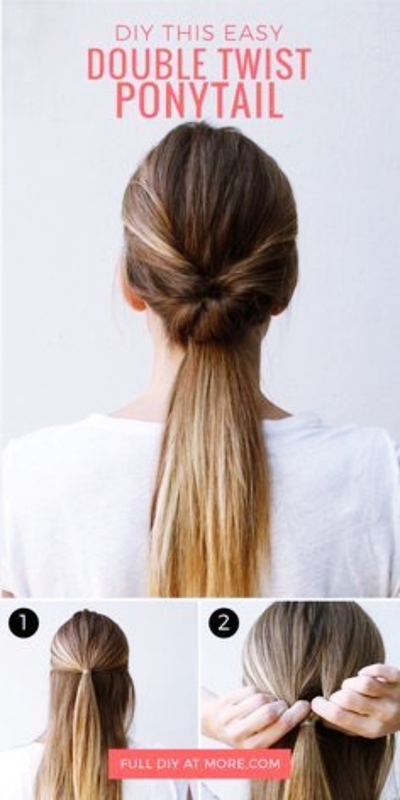 Midpart the hair from the front and temple portions and tuck the rest of hair into a low ponytail at the back. Secondly, pull the hair from left temple towards the right side of ponytail and vice versa to get the desired outcome. How about pairing a halter top with a blazer over to rock the sleek look at work (who knows if you get invited for a date – just pull off the blazer and make him fall all over again. Section the hair and make two ponytails one above the another and voila!! 30 seconds? 30 seconds of trial and VICTORY winning one more day of sophisticated fashion at work! Isn’t this a wonderful and genius trick to apparently make your hair look longer. Life these days is real busy. People don’t have time to spend even in what they love but fashion is irresistible. When it comes to work and flaunting style, no women on this planet would afford missing out the latest outfits trends and hairstyles. We, here, are making it real easy for you to rule your workplace with sexiest moda inspirations.